Here's where I put pictures of my past and current houses, cars and whatever else doesn't fit in the other sections. It's more personal! Here's my old house in Stonebriar, located near Frisco, TX. I started building the house in 1995 and sold it in 1999. 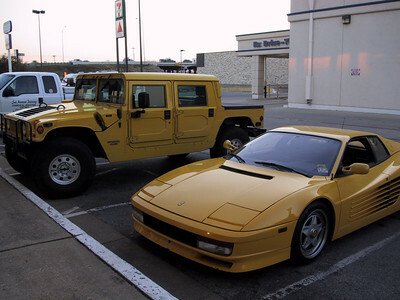 That's my 1995 Hummer (gas-powered, not diesel) and my 1995 Lotus S4S. 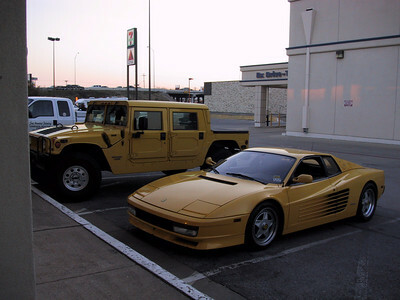 I had the Lotus for only 2 months before I traded both it and the Hummer for my 1997 Hummer Turbo Diesel in Fly Yellow color! 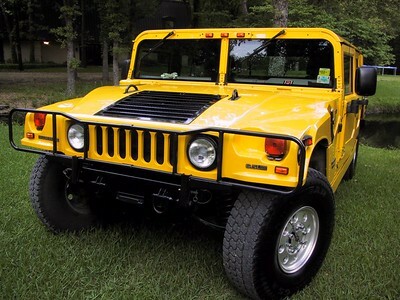 This is my 1997 Fly-Yellow Turbo Diesel Hummer 4-door Hardtop. 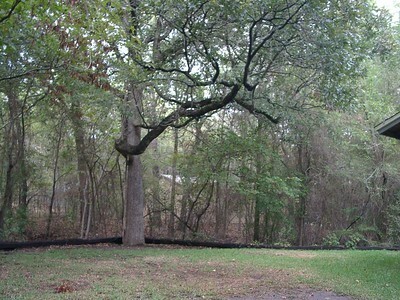 The picture was taken out by the pond in front of my Quinlan house which was Monkeystone headquarters for 2 years. You can see I kept it in excellent condition - I took this picture in 2002 so the truck was 5 years old at the time. Those are 37" tires! 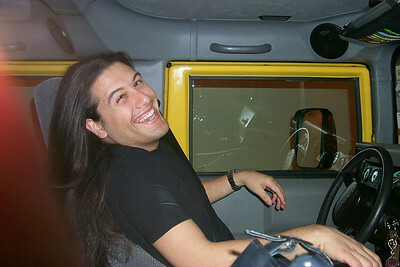 Here I am just laughing away in the Hummer. Hey, that's a Quake keychain! 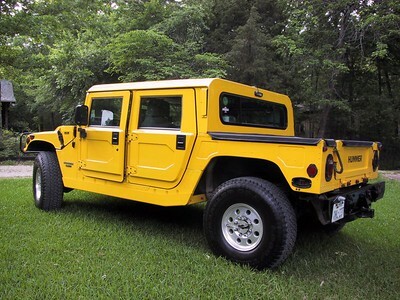 This is me inside my fly-yellow Hummer with the coolass audio/video system. 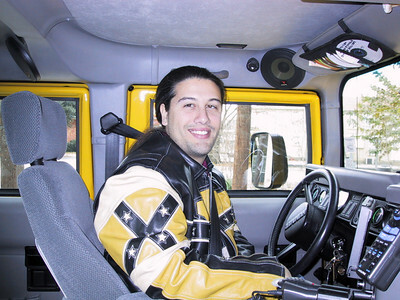 I got my favorite yellow leather motorcycle jacket in Paris at a store called Rodeo's (Feb 1999). 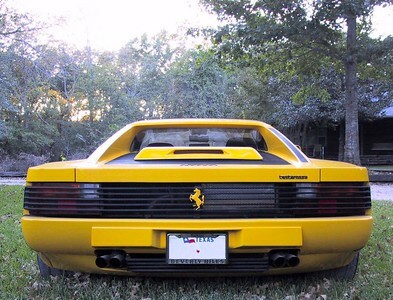 This was my 1991 Fly-yellow Ferrari Testarossa. 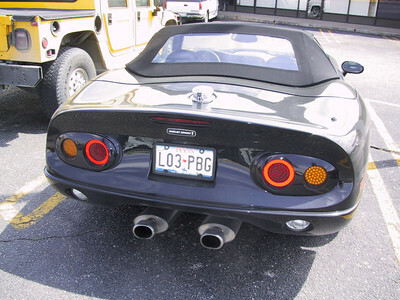 It had a large single turbo and nitrous (25lb bottle in the front) - supercrazyfast and LOUD! It sounded like an Indy racer. 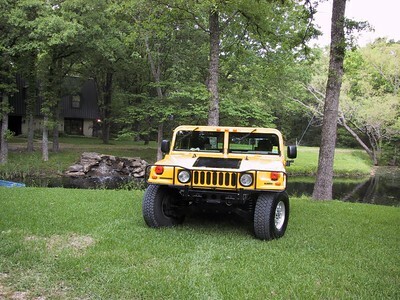 A side shot taken in front of the Quinlan house. Here's the engine with the turbo going up the center. I converted the engine from being carbureted to fuel injected which required major work. $30,000 later and the engine was computer controlled and I could plug a laptop into the engine on the passenger side (inside the car) and adjust air/fuel mixture for all RPM ranges. Awesome. 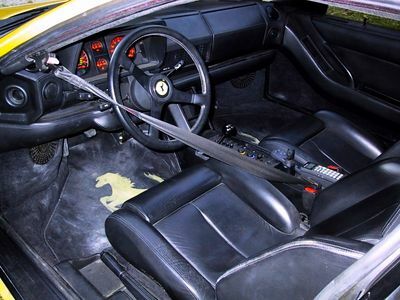 Here's the inside of the car, all leather. The sound system was a Sony ES-1 show system and it was awesome for the time (5 disc changer), speakers everywhere hidden inside. I also had a front and rear stealth radar system with LEDs hidden in the instrument panel. 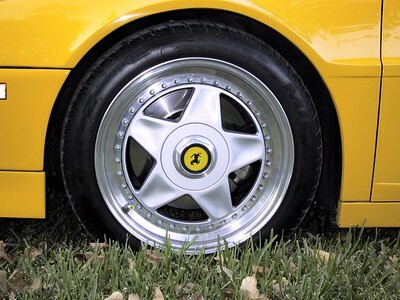 I changed the original 16" rims to 17" rims. 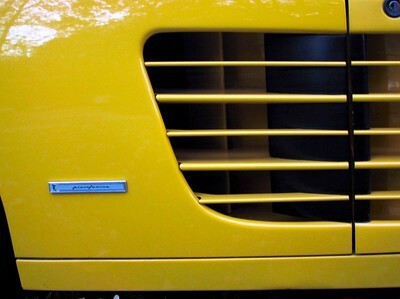 You can see the Ferrari air valve covers too. 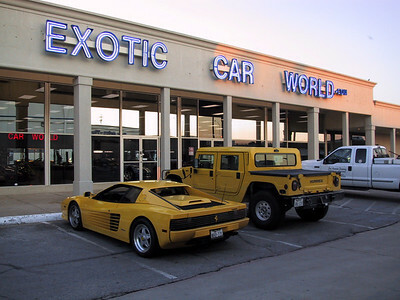 My Hummer and Testarossa out in front of Exotic Car World in Dallas, where I sold the Ferrari in 2002. 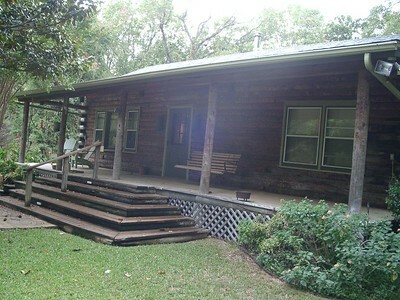 Here's the cabin I had on the Quinlan property. It's 800 sq.ft. and has a living room, kitchen, bathroom and 2 bedrooms. Pretty cozy - even has a wood burning stove, whole house fan to pull hot air out, and a normal central air system (A/C, heat). 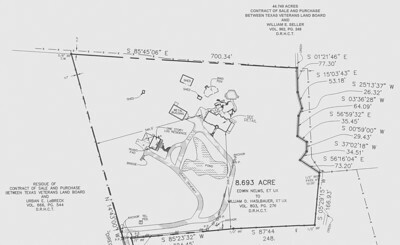 The Quinlan property, which is where Monkeystone was headquartered for 2001-2003, was 9 acres. 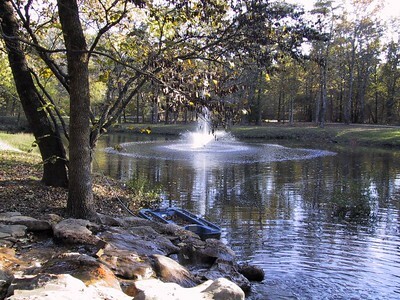 Here's the huge pond in front of the house. It had a really nice fountain in it with blue lights under the water you could turn on at night - looked nice. No fish in there, but lots of turtles and snakes. 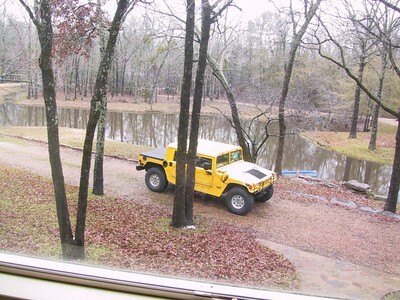 Wintertime picture taken from the 2nd story looking out over the pond with the Hummer in the driveway - you can see how big the place is and that's just the driveway (which circled the pond) and pond.....the rest of the property was HUGE (9 acres). 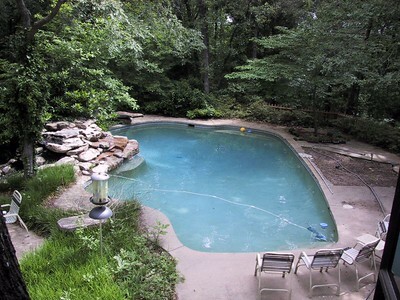 The pool during the summer. The property was totally in the woods - it was like a crazy jungle out there. It was a lot of work to keep the pool clean. Too much work actually with the amount of leaves that fell in the autumn. The rocks on the left side there are a waterfall that split the water into 2 channels - one channel pulled water from the pool and ran it over those rocks then another channel pulled water from a fish pond and ran it down another rock channel (not in this pic). Also way to the left was a huge party deck with an outdoor sink and lots of tree lights. 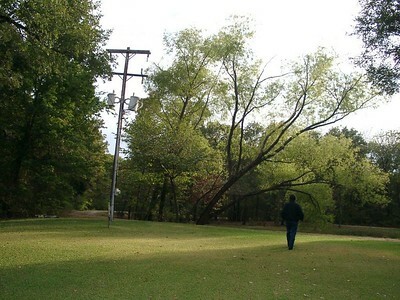 Here's part of the lawn, pond, and the power lines that served the property. We had our own huge power supply coming in that could have served several houses. You should have seen how many power outlets we had in one big room: 25! Another shed used to store wood. 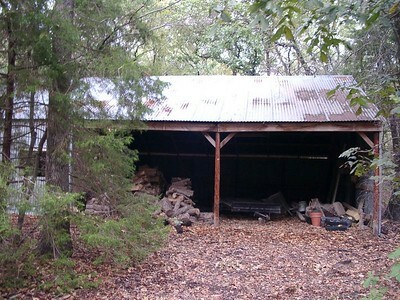 There's a HUGE shed (I don't have a pic) that I stored a TON of stuff in. 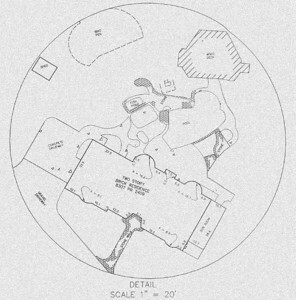 The dimensions are on the map. 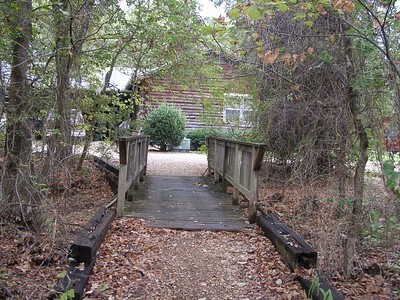 This is a bridge that led from the forest to the cabin. This is the yard behind the cabin...yes, there was a LOT of grass to mow. This is a close up of the main house. You can see we had a bird pen (aviary) where we had 3 peacocks. Until one of them got its head chewed off by....something. They were named Pooyan, Pong, and Phoenix - after video games, of course! 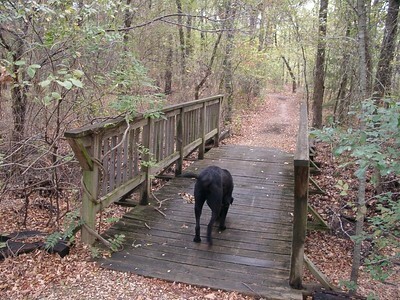 Here's a dog just wandering down the path the other way from the cabin to the woods......TO THE DUMPSTER! 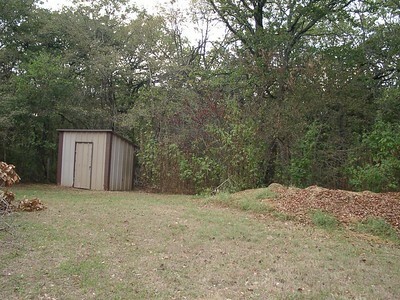 This shed was where the water well pump was located (with the well below it). We had the option of using the well or city water whenever we liked. This is one of Adrian Carmack's cars - a Shelby Cobra! Man, this thing sounded awesome.